April the 3rd is Easter Saturday and traditionally the date for the Dart Gig Club’s annual Racing Regatta. In its 12th successive year The DGC Committee have invited competing gig club crews from all over Devon, Cornwall and Dorset to race on our beautiful River throughout the day, in a variety of Racing Divisions. This year these categories are: Men & Womens A, B and C Crew races, Veterans (Men and Women Over 40), A Juniors and Mixed race time permitting. 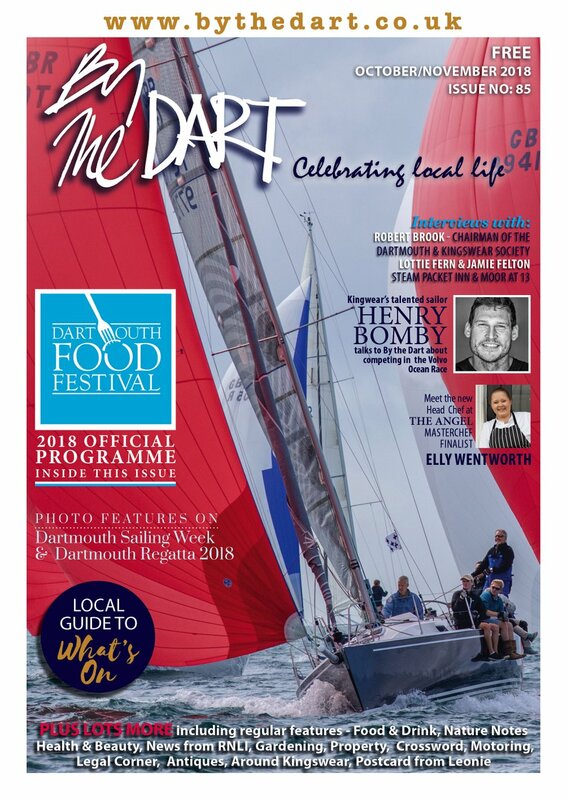 The Dart Regatta course follows a 3000 metre triangle course from the higher ferry, towards Dartmouth Castle, finishing in line with the Dart Yacht Club. Racing usually kicks off at noon following a safety talk and Coxswains meeting every year held outside the Yacht Club where spectators and rowers congregate throughout the day. All are welcome to join us for this Easter River Spectacle and cheer on the Rowing Crews. Within the Yacht Club, our ‘club house’ for the day, changing and wash facilities are provided for visiting clubs. Hot and Cold Snacks are all homemade by the Dart Gig Club members. A Grand Raffle runs all day, this year fundraising for a set of new paddles (£300 each) with prize winners being announced at 6pm just after the Race results and Trophy presentations. Gig History: The Cornish pilot gig is a six-oared rowing boat, built of Cornish narrow leaf elm, 32 feet long with a beam of four feet ten inches. It is recognised as one of the first shore based lifeboats that went to vessels in distress, with recorded rescues going back as far as the late 17th century. The original purpose of the Cornish pilot gig was as a general work boat, being used to take pilots out to incoming vessels off the Atlantic. In those days the race would be to get a pilot on board a vessel first - those that reached the ship first got the job, and hence the payment. When a new gig was built it was tested against opposition boats to find out how fast it was. It was only a matter of time before these impromptu races were replaced with official fixtures, and so pilot gig racing was born. There are now over fifty clubs throughout the West Country and the extent of the sport doesn’t stop there. Pilot gig clubs have also been established in Holland, France, Faroe Islands and America. Throughout the season crews compete in starred events, notching up results towards the Tribute Challenge Series. Current champions are Par Men and Roseland Ladies, both titan crews in the league. 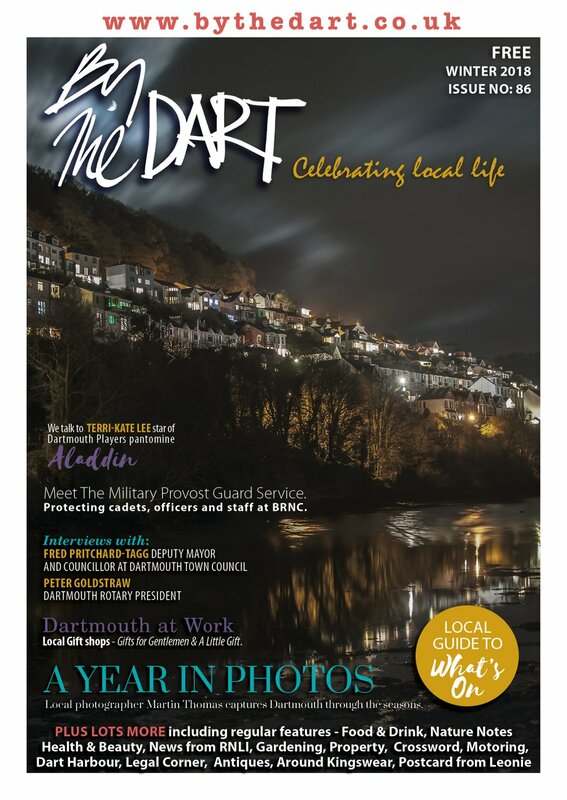 Dart Gig Club were formed in 1996 and started on the racing circuit soon after. Our club has two Wooden Racing boats, Volante and Lightning built by local Gig builders Brian and Andrew Pomeroy, as well as two GRP Training boats Dart, and Dilly E. Recent DGC trophy wins include: Ladies Super Vets winner 2009, Newquay County Men’s Championships Plate Race winners 2009. Club Contact details for anyone wishing to row either in a racing or social format should contact Chairman Colin Brown: 07734468901 Men’s Captain Dave Morally: 07794102601 or Ladies captain Halina Brown: 07794218692. Gig Rowers have regular social meets at the Higher slip way, Coronation Park, Birssy’s Bar and The Floating Bridge Inn. 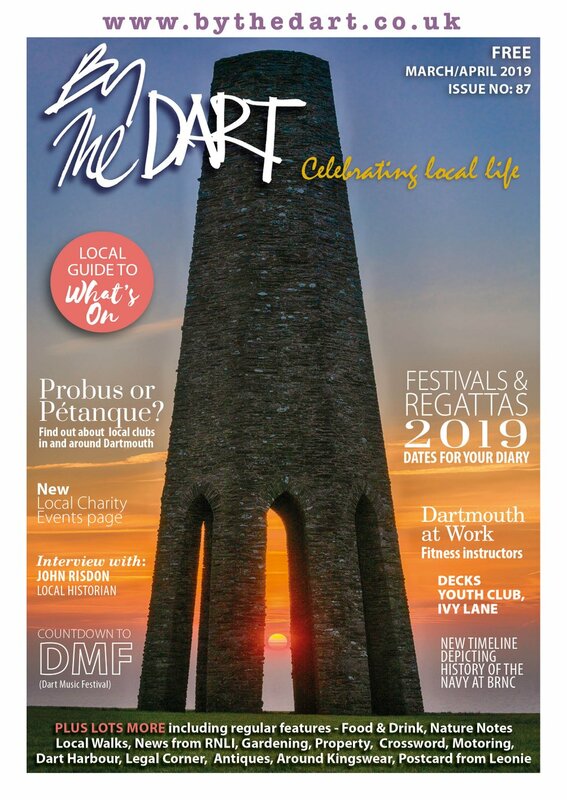 The Dart Gig Club wish to thank all their sponsors and the people of Dartmouth for their continued support in this ‘Oarsome’ Sport.